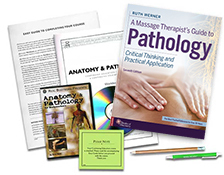 Already own the text Massage Therapists Guide to Pathology or the DVD Anatomy & Pathology for Bodyworkers? Call us at 1-800-364-5722, 9am to 5pm, to discuss your enrollment options. Explore the various systems of the body while examining common conditions and illnesses so you can then more effectively help your clients. Knowledge of pathology helps you as a bodywork professional, to know when massage is contraindicated and when to refer your clients to another health care provider. Through this video- and text-based course, you will be able to familiarize yourself with the common conditions and illnesses you may encounter. Musculoskeletal, nervous, circulatory, respiratory, endocrine and digestive system disorders are investigated. Some of the afflictions discussed in the course include: fibromyalgia syndrome, spasms and cramps, strains and sprains, joint disorders, whiplash, carpal tunnel syndrome, herniated disc, thoracic outlet syndrome, Parkinson's Disease, headaches and seizure disorders, heart conditions, and bronchitis. Wow! This is the best CE class I have ever taken! I really thought I knew my anatomy well, and I did, but I had a very poor understanding of pathologies. I have the Merck manual and it doesn't begin to illuminate the massage relevance as your text does. I will always refer to this book, and I thank you, thank you, thank you for this reference guide. I couldn't tell you enough positive! Both the CD Rom and DVD were fabulous tools for those of us who are visual. What a great reference manual! Finally a complete book especially designed for massage therapists and bodyworkers. The material in the book was amazing, detailed and very informative. I will be using the textbook daily for my geriatric clients. Thank you for the mental stimulation and the challenging quiz. I enjoyed this course tremendously. Very detailed and also very informative on the types of massage that are indicated for different disease/symptoms. This is the first text that has so much valuable information categorized by disease. This will be a valued reference for many years. I was pleasantly surprised with the textbook! This book is loaded with valuable information with an "easy to comprehend" text. Wonderful material - I will strongly recommend it to my coworkers. The information was easy to comprehend and well organized. I will definitely use your service to renew my license in the future. Thank you for providing a great home study. I am in the business of cosmetology and massage education. I am very impressed with this course. It has helped me in my massage practice as well as in the classroom. I will definitely be looking at the other courses this site offers. 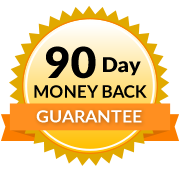 The course was very helpful and allowed me to complete in my own time. Being able to print out the test in advance and use to study the relevant chapters was awesome! I also feel like you did an outstanding job testing from every section. I can use the DVD as an overview or review with my class since I teach Pathology and Anatomy and Physiology! I enjoyed it very much. Thanks. Great course. Learned so much. There was so much information that was well organized and engaging. I was very caught up in the subject matter, which was a nice surprise. The study guides along with The Point guides were incredibly helpful. Excellent course for helping massage therapists deepen their knowledge of pathology. I truly enjoyed watching the videos. Reading the course material was a wonderful refresher and I learned new information also. Excellent course. Well written and easy to understand. I considered my anatomy and pathology knowledge relatively keen, but discovered many new bits of information in this course. Glad it was available. Very glad I took it! Thank You! I love Ruth Werner's writing style. She makes learning a pleasure! Kept me on my toes for sure. A lot of useful information. Easy to read and understand. Love the massage Therapy implication boxes with each section, will be helpful in my daily practice. The video was informative and well explained. Felt the course was worth my time and money. Great course. Love the online format and text was really clear with lots of pictures/graphics and very well laid out. Really happy with the course, far exceeded my expectations and super useful for my practice. Thank you! Wonderful course full of useful information. Certainly recommend. Thank you! Stress-free test. I took my time to review the practice test which made it so easy to take the actual one. I loved video presentations. It's general but very important to review. The person who commented the video speaks very clear which is helpful for me as for an English second language student. This course was awesome and easy to understand. I loved it and would reccomend it to others. This is an excellent course, and the materials provide an excellent reference library for further study. I must thank the staff who answer the phone and are always so polite and helpful. Because of them, I am a customer. This class and materials are excellent and will remain most helpful in my practice. The DVD is so well done and gives an excellent overview. I will watch it many times over. (I would be interested in other classes with a DVD such as this.) Thank you so much for a great class. This course was fascinating and challenging. Great video, and amazing text book. I learned a lot, and intend to continue to draw on the book for reference. Thank you!! Recognize contagious, non-contagious, and neoplastic skin disorders and determine rules for massage. Recognize injuries to the integumentary system and determine rules for massage. Analyze information from a case histories and determine appropriate action for massage. Identify the group of signs and symptoms involving chronic pain in muscles, tendons and ligaments and other soft tissue of the human anatomy. Analyze information from a case history and determine appropriate action for massage. Recognize joint, connective tissue, and neuromuscular disorders of the musculoskeletal system disorders in human anatomy and determine rules for massage. Name 3 types of bone cells in human anatomy. Classify bones by shape in human anatomy. Select massage technique for resetting spindle cells in a muscle, tendon or ligament. 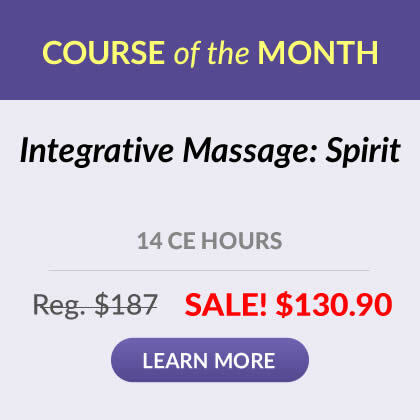 Recognize chronic degenerative disorders of the nervous system in human anatomy and determine rules for massage. Recognize infectious diseases of the nervous system in human anatomy and determine rules for massage. Recognize nervous system injuries and determine rules for massage. Relate the concept of pain-spasm-pain cycle to the nervous system and muscle hypertonicity. Relate the process of digestion to the nervous system. Analyze information from a case history and determine appropriate action for a massage. Identify blood and vascular disorders of the circulatory system and determine rules for massage. Identify signs and symptoms of heart attacks and determine rules for massage. Describe the venous flow in the cardiovascular system and determine rules for massage. Relate the function of bone marrow to the immune system and wellness. Identify the signs and symptoms of lymph and autoimmune system conditions and determine rules for massage. Identify signs and symptoms of infectious respiratory disorders and determine rules for massage. Describe the etiology of lung cancer. Identify the signs and symptoms of digestive system conditions and rules for massage. Describe disorders of accessory organs in the digestive system in human anatomy and determine rules for massage. Describe the function of the endocrine system and the role of the thyroid gland in wellness. Identify endocrine system disorders from signs and symptoms and determine rules of massage. Describe the function of the kidneys in human anatomy. Identify common kidney and bladder disorders form signs and symptoms and determine rules for massage. Identify signs and symptoms of reproductive system disorders and conditions and determine rules of massage.